With the FastPay and Advantage Software integration you can further enhance seamless B2B payments via virtual card, ACH, portal, secure fax, and checks all in a unified platform. Check out our recent study by Forrester Consulting to see how you can reduce costs and improve workflow efficiency by digitizing your payments. Hear directly from the CFO of 9thWonder, Breck Templeton, on why he made the switch to FastPay. 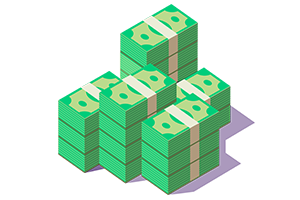 With the 2020 political season just around the corner, it’s more important than ever for political agencies to streamline their payment process. Why? 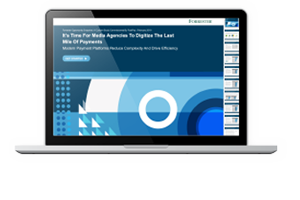 See how FastPay has helped full-service media agency, 9thWonder, scale operations and streamline payments for the highest throughput, revenue share, and invoice approval. See how your AP Department can optimize efficiency and lower costs in this commissioned study conducted by Forrester Consulting. Download the report now. Check out the latest news and events in the media world, FinTech, and B2B Payments. Start exploring. Planning to attend the ANA Advertising Financial Management Conference? Stop by booth #27 and see how FastPay can digitize 100% of your media payments. FastPay works with a variety of media businesses in the US and UK. Please fill out the information below, and we’ll be in touch within one business day.